A one owner watch with full boxes, booklets and papers from 2004. 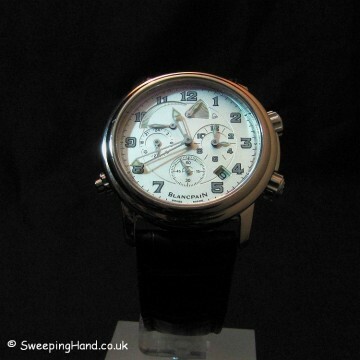 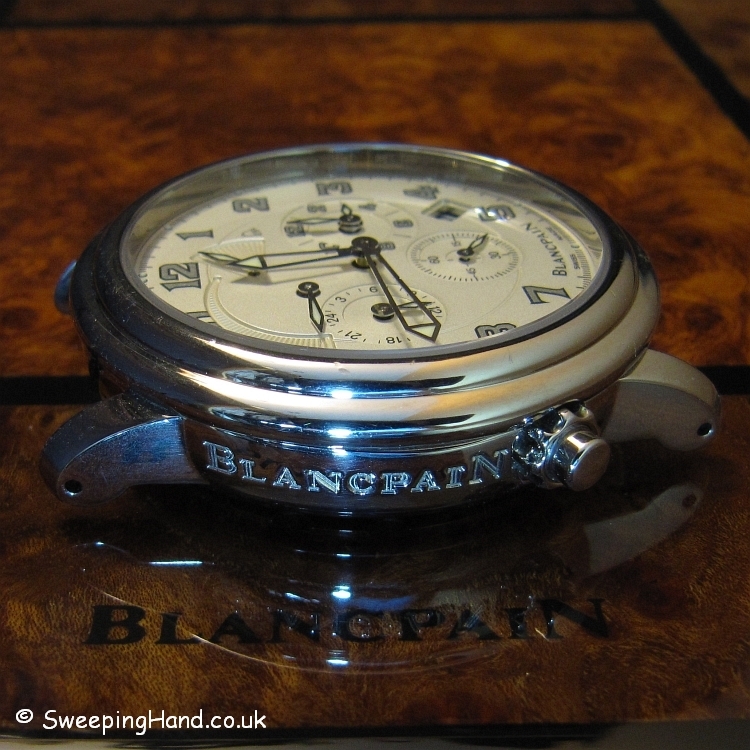 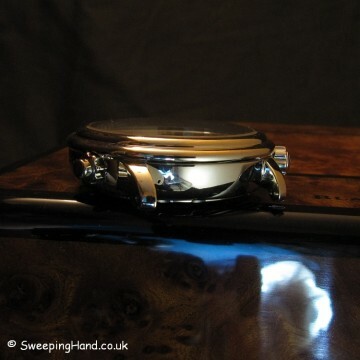 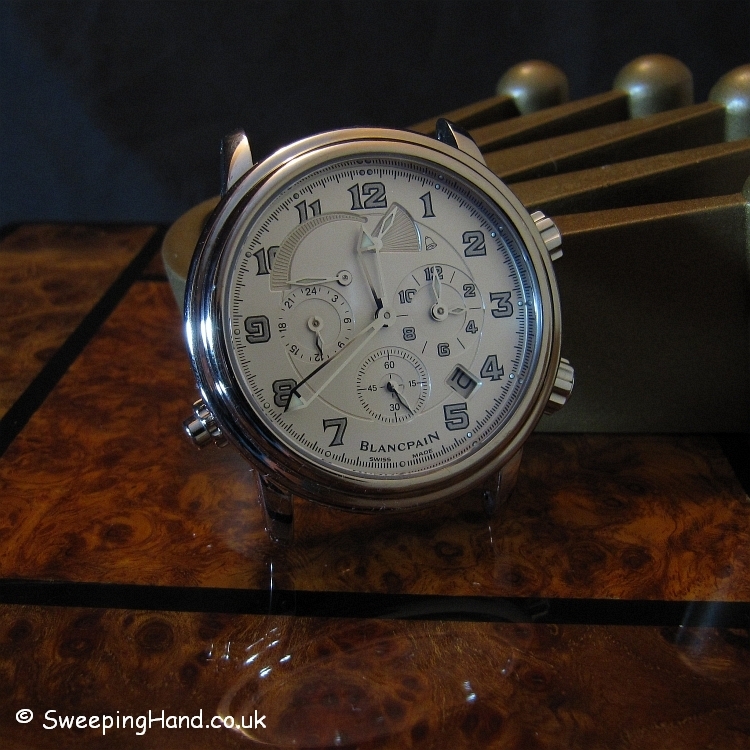 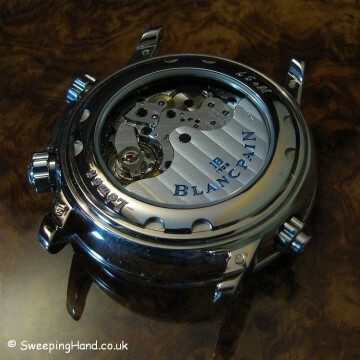 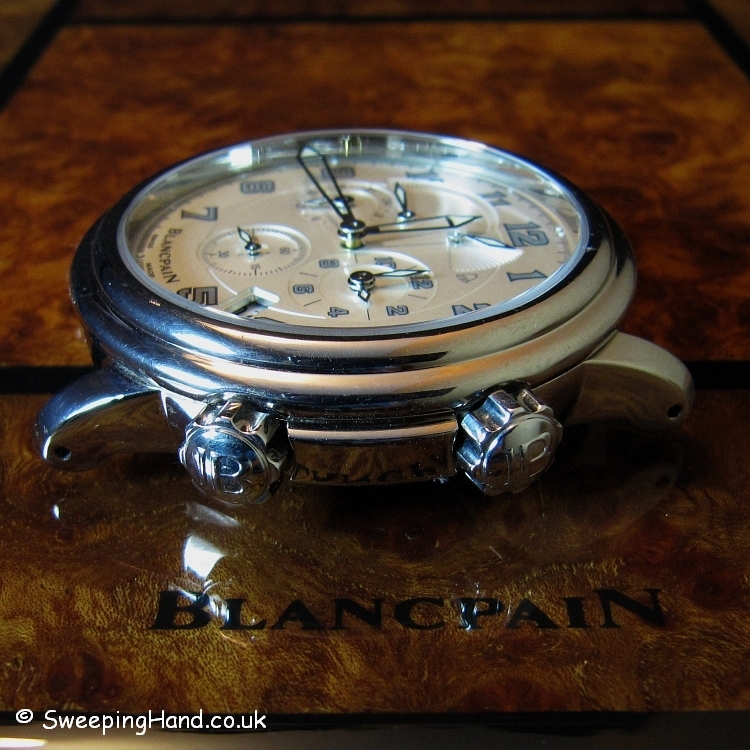 This white gold limited edition watch was produced by Blancpain in very small numbers and this is watch number 57. 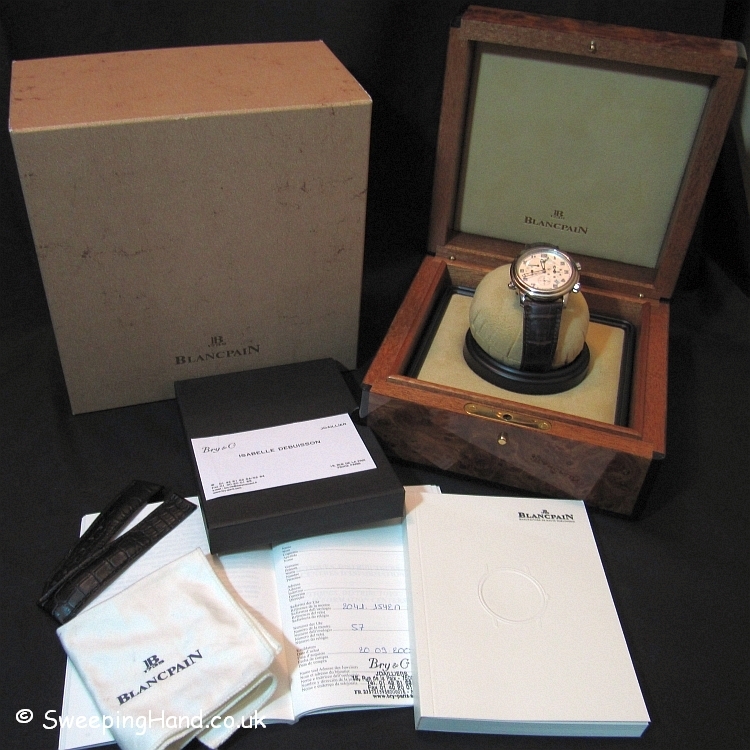 With an original retail price of circa 25,000 euros this is a bit of a steal! This beautiful complication watch features an alarm controlled by the button at 8 o’clock and shows the alarm power reserve below 12 and the alarm time on the 3 o’clock sub dial. 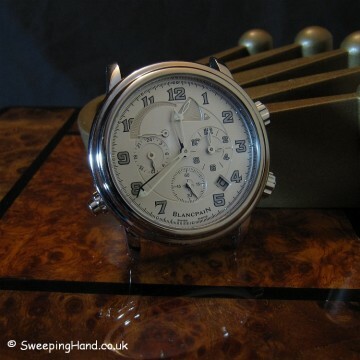 Small seconds sub dial at 6 and the date between 4-5. 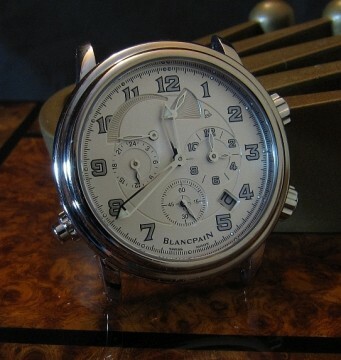 Beautiful white dial with luminous skeleton hands and numbers, scratch resistant sapphire crystal and waterproof to 100m. 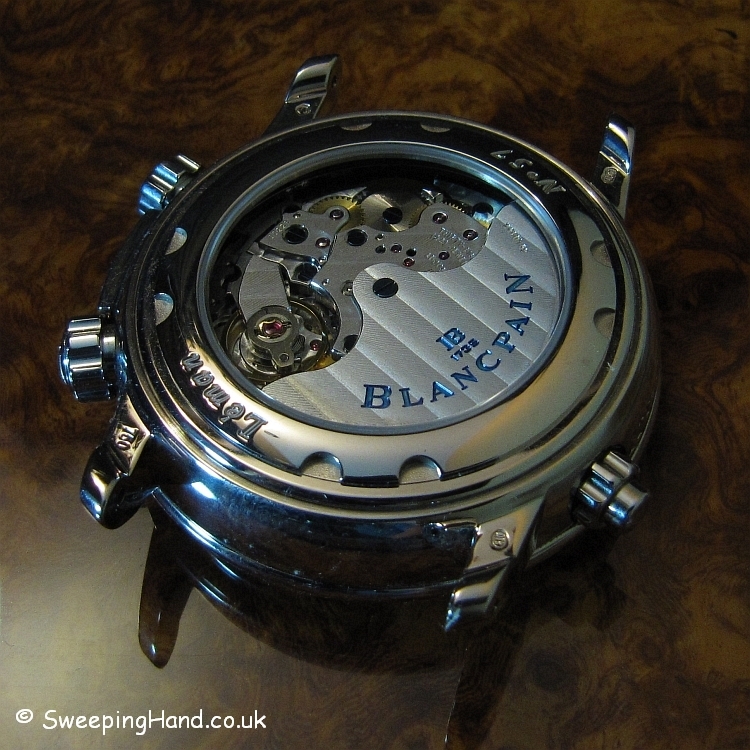 Encased in solid white gold 40mm case with a display case back showing the extremely impressive Blancpain caliber 1241 movement, composed of 407 components & 38 Jewels! Comes with original black leather and newer brown leather Blancpain strap with white gold Blancpain deployment clasp. Not a watch you will see anyone else wearing!